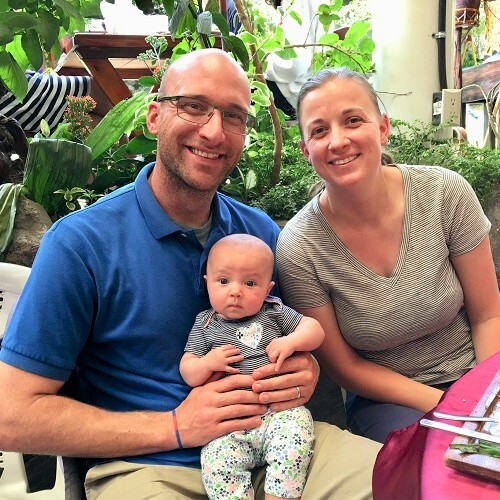 Matt and Nora met during a mission trip to Guatemala in 2014. At the time, Matt was on staff at a church in Georgia and Nora was six-months into her first year at the Oasis. Nora began serving at the Oasis after feeling called into missions at a young age. After completing high school in Columbia, SC, Nora attended North Greenville University where she majored in missions. Matt's journey began in Greenville, MI where he majored in special education at Grand Valley State University, and ultimately moved to Georgia to seek a position in youth ministry. Matt served at Sandersville UMC for six years. In his fourth year of youth ministry, Matt traveled to Guatemala with his church for a week-long mission trip where he met Nora, a team coordinator with Kids Alive. They instantly began a friendship, which ultimately led to them getting engaged Easter 2016. Matt applied and was accepted by Kids Alive to join Nora and the team in Guatemala. The two got married in September 2016 and are excited to be serving at the Oasis together. Matt enjoys sports and playing soccer with the Oasis girls. He loves to encourage and build people up so that they can reach their full potential. Nora enjoys building relationships with the girls, sharing the vision of the ministry with short-term teams, and reading in her free time. Support the Ministry of Matt and Nora Vos with Your Gift Today.